Good evening and welcome to Marvelous Mondays #60. We hope you had a wonderful week and weekend! 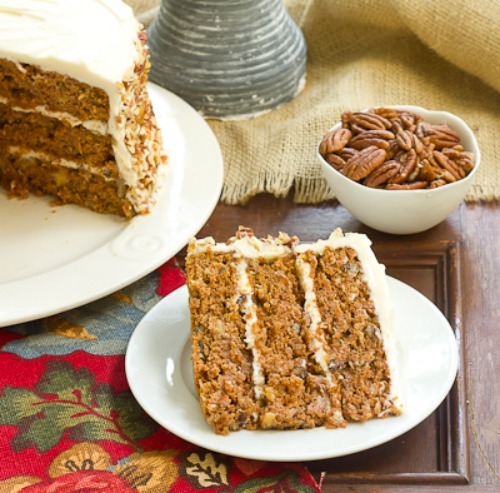 Did you make any recipes or work on any projects this week? We’d love for you to share them here. 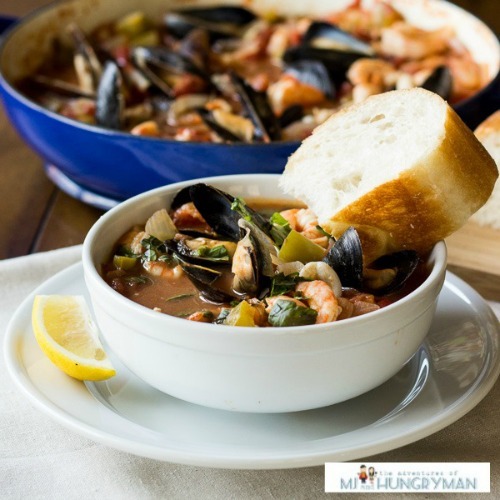 Have an old recipe or project that you haven’t shared in a while? Go ahead and share it with us! If you were featured, feel free to grab a featured button here. Did you know that all three of your hosts share link ups on Facebook and Pinterest? Be sure to follow along via Facebook and Pinterest so you can see some of our features from the party. We share a lot more than what we feature at the weekly party! You can easily like my Facebook page by clicking the “like” button in my side bar. Click below to follow on Pinterest! Thanks so much for hosting, Julie!!! Thanks a lot for hosting Julie! Have a great week. You’re welcome, Min! No, I am sure not ready for the week to start but there’s nothing we can do about it! We must move forward and deal with it. :) At least it’s a short one or me. My mom is coming to visit this weekend so I am taking Friday off! :) Hope you have a great week! You’re welcome, Bridget! Thanks for stopping by! Thanks for the wonderful party! We always find great links to visit! Thanks for the party Julie, I love the new logo :) Have a great week! Thank you, Lisa! I made it as my featured image for my home page but we decided to go with it and replace the old button. I just had to resize it! :) Have a great week! I’m about to get comfy on the couch for Breaking Bad at 9pm. Hi Julie! Thanks so much to you, Carrie and Paula for hosting the party! Hope your weekend was great! You’re welcome, Cindy! Weekend was good. It’s almost over, though. Boo. Hope you have a great week! Lovely features and thank you for hosting, Julie! You’re welcome, Marcie! Thanks for stopping by! Thank you, Claire! Yes, sad to see it go but it will be a short week for me! I am off on Friday because my mom is coming to visit for the weekend! Hope you have a good week! Hey, girls! Thanks for hosting another great party–it makes my Mondays actually marvelous, haha! Thanks for co-hosting this fabulous party with the gals! Those features are amazing! Oh my! 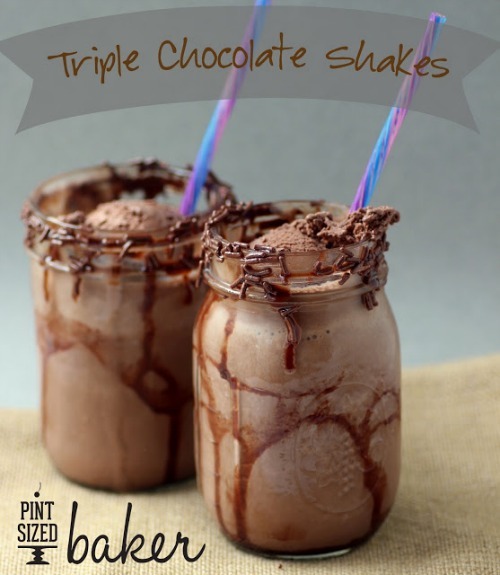 Thanks so much for featuring my Triple Chocolate Milkshakes! What a surprise! Thanks for the party. Hope you had a super weekend! Thanks for hosting the link party! It’s my first! I followed you on Google plus and FB. Welcome to the party, Alicia! Hope you have a wonderful weekend! Hi Hannah! That’s awesome that your husband guest posted! Hope you have a good week! Thanks for hosting Julie! Have a wonderful week! You’re welcome, Lyuba! Thank you for stopping by! Mondays are better with the Marvelous Monday post! You’re welcome, Anne! Thanks so much for stopping by! Looking forward to seeing what other cooks and bakers have been up to! Features look amazing! Hi Julie! I’m joining your link party for the first time. It looks fantastic! Where do I grab a button? 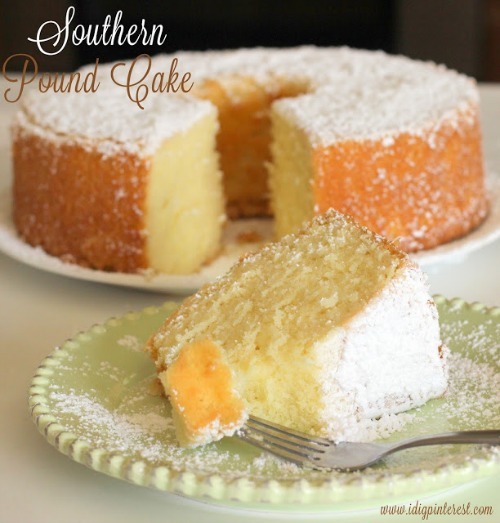 Thanks so much for featuring my Southern Pound Cake! Have a wonderful week! Hey Girls! The features were awesome and so were the link ups, great inspiration. :) Thanks for throwing the party! Hope you have fantastic week! Thank you so much for the party – have a fantastic week! Hi Laura! You’re welcome. Have a great weekend and thanks for stopping by the party! Hi Catherine! You’re very welcome! Have a wonderful weekend! As usual, so many fantastic entries! I have lots of pinning to do! And your Pumpkin Cookie Bars Look to die for! Thanks for hosting! I’m now following you via all your social media! Hi Katrina! Welcome to the party. Thanks so much for stopping by and following along! Thank you Julie, for hosting!! You’re welcome, Stacy! Thanks so much for stopping by. Have a great week! Thanks for hosting, Julie! Have a great week. You’re welcome. You have a great week too, Kathy! Thanks for hosting the party and for sharing. Hope you’re having a great week.